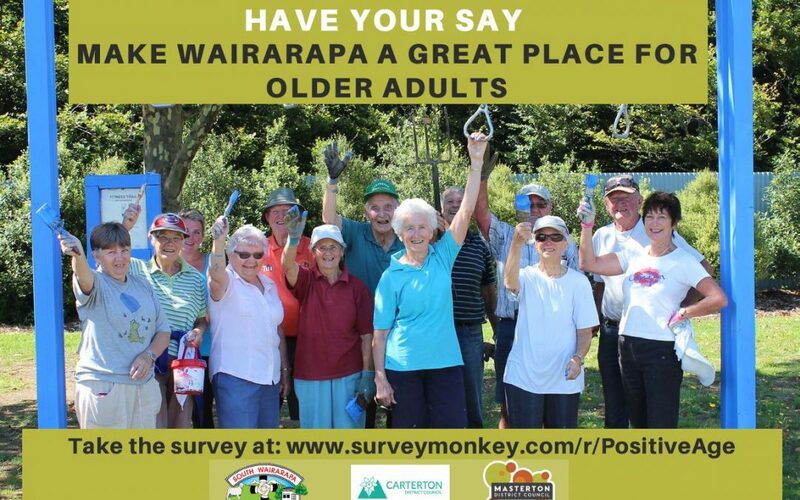 Our population is ageing quickly and we want to be part of an age-friendly Wairarapa. This means a community where people of all ages are respected, included and connected to people that are important to them. To help plan for this, the Councils of Wairarapa would like to hear from everyone in our community. We plan to do this in a number of ways however the first opportunity is a region wide survey for you to complete online or you can collect a paper copy at the Carterton Information Centres, Council office and Carterton Library. Your answers will be confidential and anonymous and will help us create a Positive Ageing Strategy and action plan. There will also be interviews and workshops with community leaders. If you’d like to be kept updated, give us your email details at the end of the survey. We’d be delighted to stay in touch.